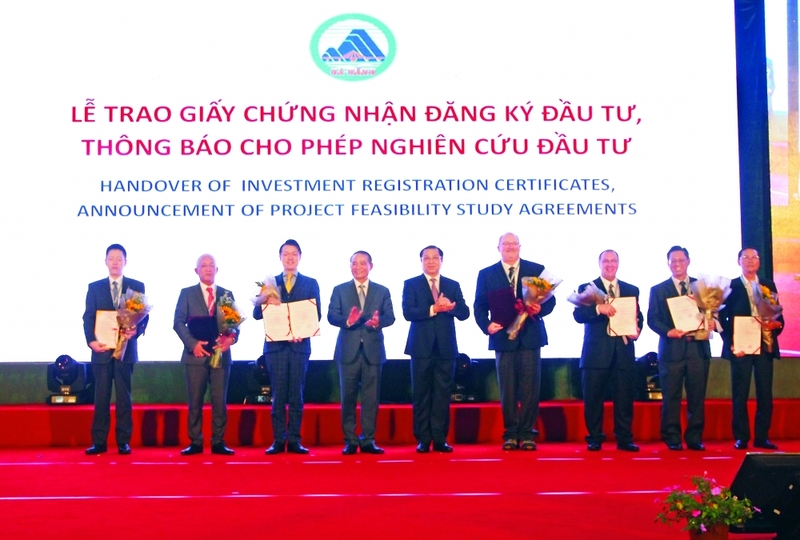 At the event, eight investment registration certificates were handed over to groups and companies to invest a total of nearly US$500 million in Da Nang, more than triple the amount of foreign direct investment (FDI) attracted by the city throughout last year (US$153.6 million). The investment projects cover key sectors of the provincial economy: high-tech industries, including information technology, and high-quality services. Major examples include the Universal Alloy Corporation Asia Pte. 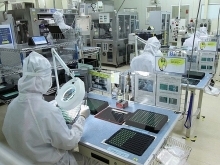 LTD (USA)’s US$170 million Sunshine aircraft component manufacturing project based in the Da Nang Hi-tech Park; and an electronics manufacturing and assembly project based in the Hoa Khanh Industrial Park expansion, with total investment of US$70 million from Key Tronic EMS, a US group. Also at the event, the city announced its permission for investors to conduct feasibility studies on 11 projects with total investment of more than US$3.5 billion, concentrated in the fields of high-tech industries, high-quality services, high-tech agriculture, industrial and information technology infrastructure. These investors include groups such as Sungroup, Vinamilk, VNPT and Viettel. The most notable project among these is Danang Gateway in Son Tra District, proposed by Sakae Holdings Ltd, Fission Holdings Pte. Ltd and Newtechco. This project is expected to cost a total of US$2 billion. A number of other investors and reputable groups also expressed a desire to explore investment opportunities in the city. Jonathan Hanh Nguyen, President of the Imex Pan Pacific Group, said he hoped the city would sell land by auction in a public and transparent manner to provide the group with space for new retail facilities and stimulate tourist spending. 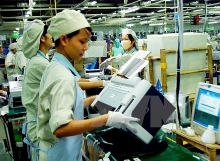 Tran Hong Son, General Director of the Long Hau Joint Stock Company, asked the city to pay greater attention and give priority to developing support industries. In his opinion, high-tech manufacturers, especially small-sized businesses, very much need the support of the local government in dealing with infrastructure problems. Secretary of the Da Nang provincial party committee, Truong Quang Nghia, said the city would give priority to improving planning and upgrading infrastructure to meet investor requirements. At the same time, the city will deal with problems currently facing each industrial zone, improve the quality of human resources as well as the investment and business environment. of the local investment environment.